Paper Roll Spring Flowers Craft >> Paper towel (toilet paper roll) crafts are always popular with their abundance and versatility. 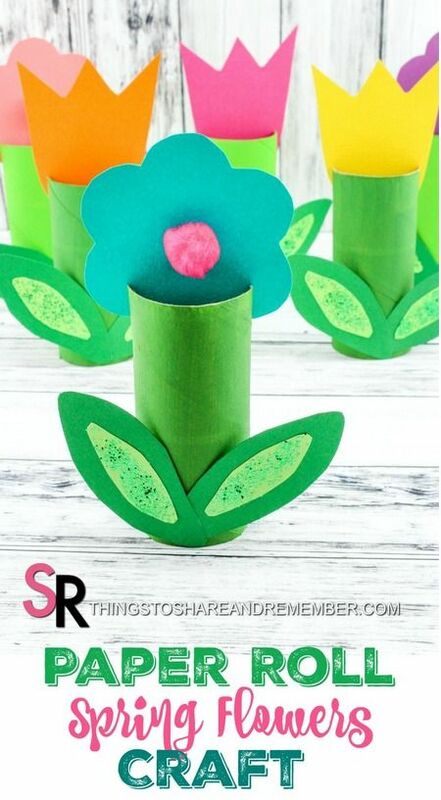 The Paper Roll Spring Flower Craft is super cute and perfect for spring display, May Day, or a Mother’s Day craft for preschoolers. I think they would also make lovely place setting cards with names written on them for Easter or a birthday party.